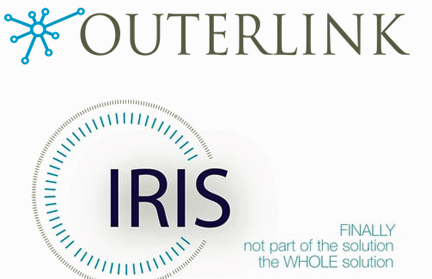 The OuterLink IRIS Push-To-Talk (PTT) VOIP Radio usage is growing exponentially in day-to-day operations and unaffected when natural disasters wipe out infrastructure. When Hurricane Harvey hit the Texas gulf coast, any communications not devastated by the storm were overloaded with usage by first responders and civilians trying to use their cell phones and 900MHz radio networks. First responders such as Acadian Ambulance had clear and uncluttered voice communications with their dispatch using the IRIS PTT VOIP Radio. When Acadian needed a temporary dispatch center set up on the heels of Harvey, IRIS allowed them to maintain a seamless communications link to their entire aircraft fleet amidst the chaos. According to Metro Aviation Flight Data Integration Manager Tom Diviney, a table, computer and video screen had to be set up on a moment's notice. Traditional cellular, VHF, and 900 MHz radio networks were either out of service or overcrowded with radio traffic. The IRIS satellite PTT radio gave us clear and consistent communications with our aircraft and was truly effortless. The IRIS PTT coverage has been actively available to civilian and first responders in Puerto Rico and the entire Florida and Caribbean region. Even when natural disasters aren't factors, the clarity and timely performance of the IRIS PTT has allowed Outerlink customers to use it as their primary communications network over their VHF network. As the first commercially viable, satellite-based, helicopter tracking company, Outerlink has supported offshore, energy and first responder customers, and always focused their new product developments on equipment and services designed to fill the void in communications. Although cellular and satellite phone products have expanded their capabilities, events such as 9-11 and Hurricane Katrina continue to expose bottlenecks and deficiencies in both civilian, as well as first responder networks. As illustrated by the devastation recently experienced in Puerto Rico, cellular and 900 MHz networks are subject to overcrowding and infrastructure damage, causing satellite phone networks to quickly become overcrowded. If someone can make it call, it is only to one person at a time. Unlike other costly satellite phones, the IRIS PTT allows any number of participants to monitor the frequency/group and customers are only charged for what they "speak" not what is "heard." Most PTT communications average 4.6 seconds and cost customers about 5 cents to simultaneously communicate with any size group. IRIS offers a cost-effective solution for constant, global communications.